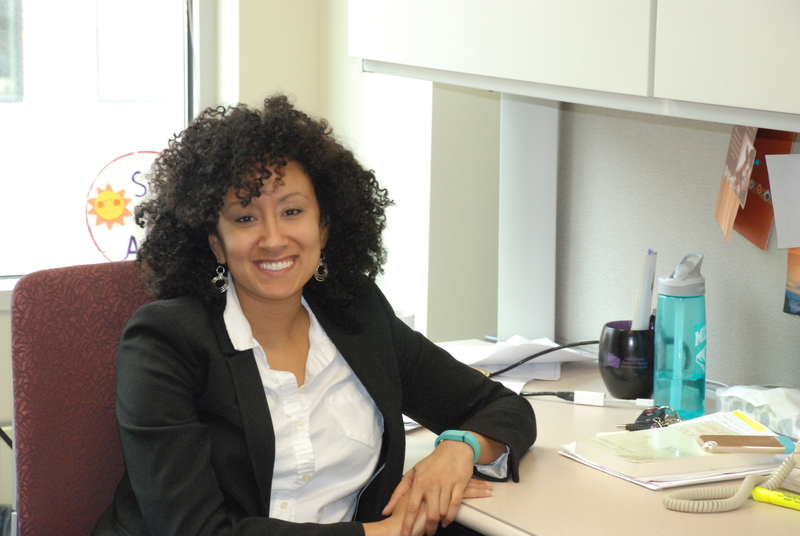 Dr. Bryana French, moved up from the University of Missouri, Columbia last year to join the faculty at St. Thomas’ Graduate School of Professional Psychology. She had done her doctoral work at the University of Illinois and then interned at U Maryland. But she is from South Minneapolis. She attended the Clara Barton Open School and graduated from DeLaSalle High School. Now she’s come full circle and is excited about returning home and working in her own community. Dr. French has been an active leader on the national level in both APA and ABPsi and is a member of the editorial board of the Journal of Black Psychology. She currently teaches MA and PsyD level courses in Diversity issues at UST. Her research and publication interests have centered around issues of sexual coercion and dating violence prevention among others.